Middlesbrough boss Aitor Karanka has responded to comments from Sean Dyche on his perceived free-spending. Derby have spent more than £10m on new recruits this summer, while Boro have lavished £5m on Stewart Downing, £2.8m on Cristhian Stuani and £4m on David Nugent. 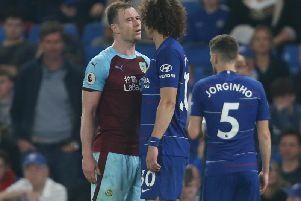 Dyche has invested in his own squad, though the club have brought more money in with the sales of Kieran Trippier, Danny Ings - with a tribunal due to set the fee - and captain Jason Shackell. Boro had had interest in Blackburn Rovers striker Jordan Rhodes, with a reported £12m offer on the table, and Dyche added: “If the Rhodes one is reality, where is the ceiling for the Championship? That’s beyond Burnley Football Club, not because we’re trying to be frugal, just because there has to be a future here. None of us have seen that in the Championship before. Karanka defended Boro’s activity: “We are spending money this season because we felt the moment was now to spend money. “Others spent money when they were in the Premier League last season. The money in this division tends to be with the teams who were in the Premier League.